Have you done a risk assessment? We've put together this very helpful whitepaper on writing an effective risk assessment on your vendor. 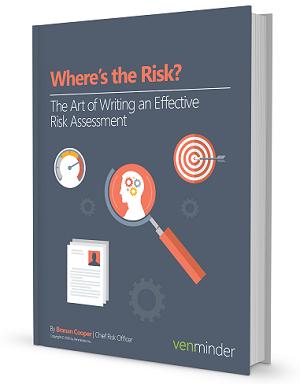 Whether writing one for the first time or the thousandth time, it can be a daunting task but essential to fulfilling one of your obligations in the regulatory guidance on effective risk management. Even more importantly, it’s really the backbone that informs your ongoing risk management of all your third parties.